It's worth looking after your smile. Feel free to call or email us to make an appointment now. Our staff is eager to answer any questions regarding your dental care. All of our clinical staff, including doctors, hygienists, and assistants, are thoroughly trained and tested on the latest innovations. 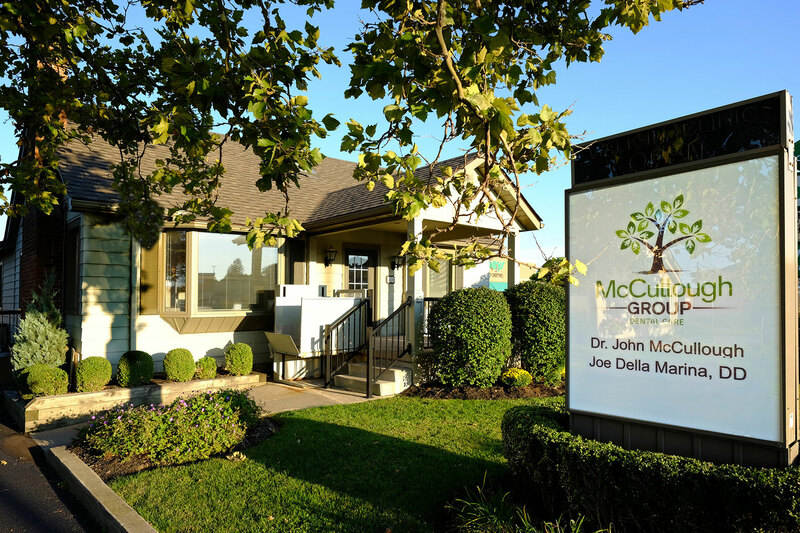 Providing comprehensive dentistry services to families in the Niagara area since 1952 is the McCullough Group. A trusted family practice, the McCullough Group also focuses on dental implants, cosmetic and restorative dentistry, teeth whitening and offers patients complete denture services. And for patients who are fearful of routine dentistry or those who desire a more comfortable experience during longer procedures the McCullough Group offers intravenous sedation for all procedures. The McCullough Group today represents not only the distillation of the efforts of our predecessors but the continuing efforts and energies of our present staff. The practice has always taken pride in providing comprehensive dental service to all people. Patients are the reason for the existence of the practice and our commitment to continuing education, innovative techniques and standards of excellence result in the best possible care for our patients. We pride ourselves on our reputation as dependable health service professionals who know our patients. The McCullough Group has proudly provided dentistry for families in the Niagara area since 1952. Patients are the reason for the existence of the practice and we pride ourselves on our reputation as dependable health service professionals who know our patients. Our facility is fully accessible. © 2019 McCullough Group Dental Practice. All rights reserved | Website by Stewart Media Inc.